When was the last time you consciously looked at and inspected the supervisory switches on your boilers and furnaces? When I visit a facility, I try to look at them whenever I walk by them. Sometimes, more times than I should, I find that the low pressure supervisory switch and the high pressure supervisory switch on the natural gas combustion train are pegged to the minimum position on the low pressure switch, and maximum position on the high-pressure switch. Occasionally I will also note other controls, such as the high-pressure cutout switch which is designed to shut the boiler down if the pressure exceeds safe pressure limits is not properly set. Chances are that the boiler being protected by this switch with this setting will never shut down if the gas pressure falls below safe limits. During normal operations, your fired equipment (your boiler or furnace) will operate normally for long periods of time, sometimes many months. During these times of smooth operation operators may become lax and may not perform the checks they should be doing on a regular basis. 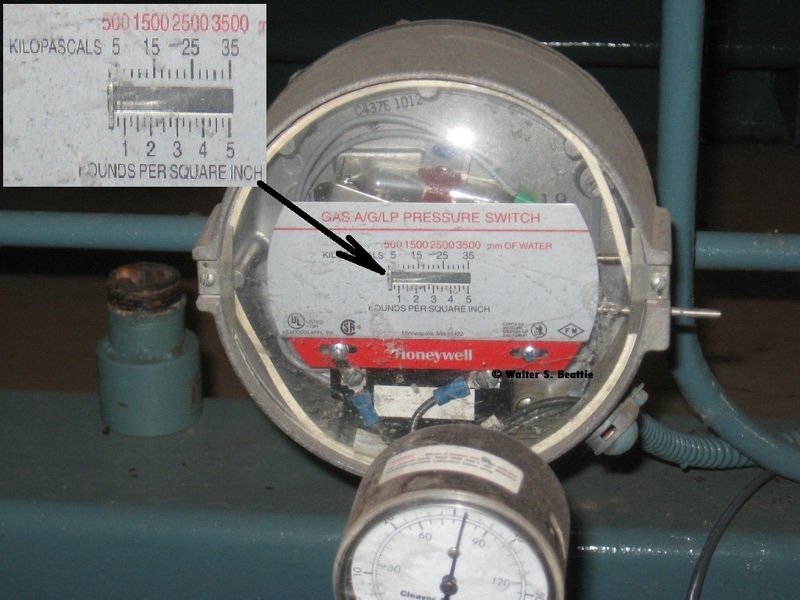 The disabling of safety devices, such as the high and low gas pressure supervisory switches, may lead to catastrophic results. Safety devices and combustion controls are installed for your safety and the safety of your employees. These devices are required because history has proven that they are needed, they can prevent catastrophic events, and they can save lives. I urge you to implement a combustion safety program at your facility, and perform safety checks and calibrations of all safety devices on at least an annual basis. This entry was posted on Monday, April 25th, 2011 at 9:19 pm and is filed under Uncategorized. You can follow any responses to this entry through the RSS 2.0 feed. You can leave a response, or trackback from your own site.